Ah, Germany. † Where the reinheitsgebot (German beer purity law) exists as both a source of national pride, and frustration. As you may know already, German brewers can only use water, malt, hops, and yeast in their recipes if they want to call it "beer". 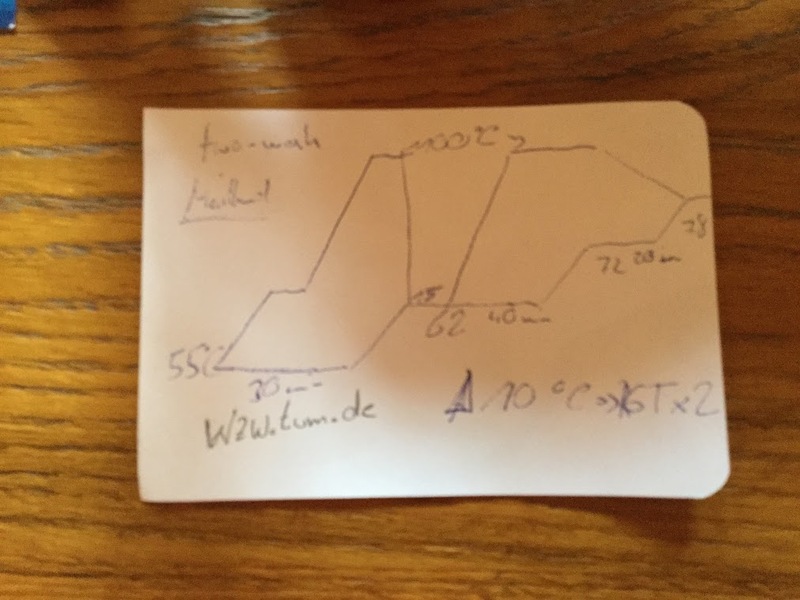 Anecdotally, several of the professional brewers I spoke with in Germany found this limitation to be rather archaic and frustrating and yet there's a palpable respect and reverence for the law. 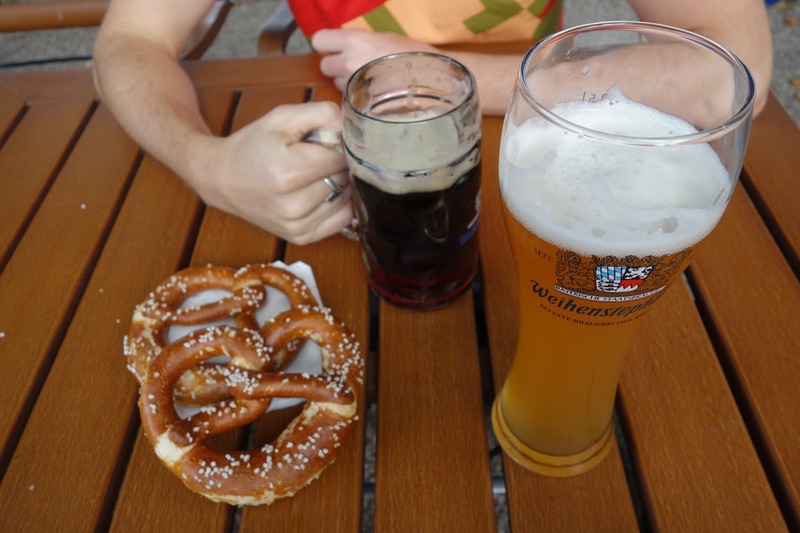 There is of course a reason why German beers are so tough to replicate and taste so great - they've been fine tuning them for hundreds of years. They work with fewer variables, and as such get to know their ingredients really well. They are forced to get creative to achieve nuanced flavour profiles and develop their brewery's fingerprint. Well, hmm Mr. Silly Sir, you ask, can they at least add CO2 to their beer? NEIN! Not even CO2... that is unless it is produced naturally by the actual fermenting beer itself (Kräusen). 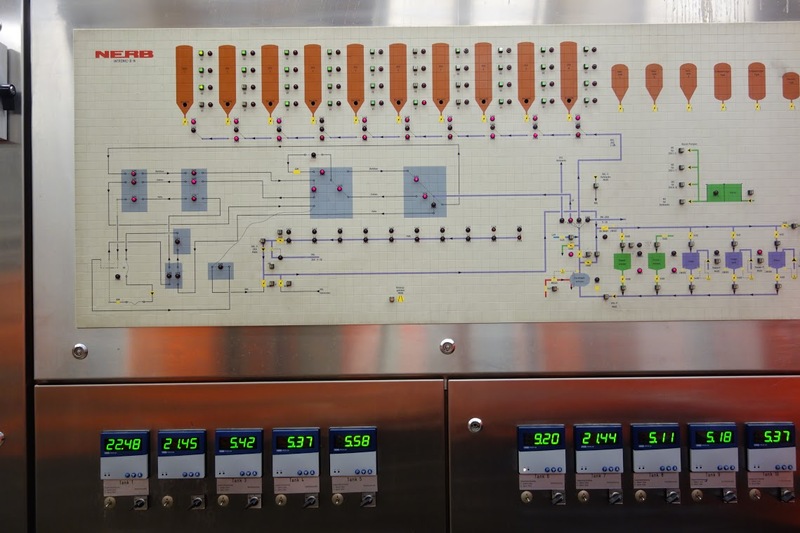 This means CO2 produced by fermentation must be retained (through pressure) and/or recaptured and added back into the beer later on (Speise). I really love wheat beer and think it's an extremely underrated style. 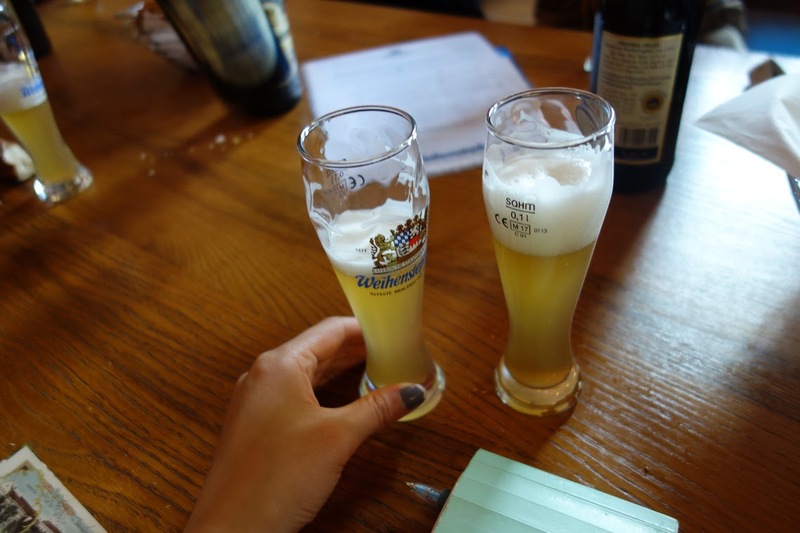 We visited Weihenstephan, Germany and toured the Weihenstephaner brewery and scored intel on how they brew their delicious, candy-of-a-beer. Weihenstephaner Brewery is located in Weihenstephan, Germany which is an hour's train ride outside of Munich. From the top of the hill wherein it is located, you can see the Swiss alps on the horizon. It's a delicious sight. 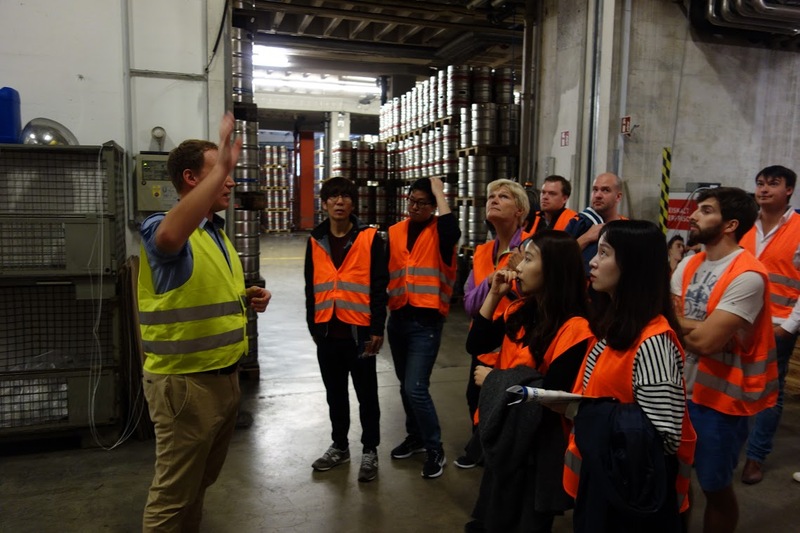 Our tour was conducted by two experienced Weihenstephan brewers. I wasn't sure which secrets they'd be allowed to reveal about their brewing processes, but they were surprisingly open about how things were done. That's it. Simple. One of the brewers recommended using 20% Pilsner and 20% Munich malt if attempting it on a homebrew scale, which is what I ended up doing. As is probably expected, they use Weyermann malts exclusively. I went with 0.09 grams/gallon of Gypsum and 0.35 grams/gallon of Calcium Chloride to bring out the malt and enhance mouthfeel. The Weihenstephaner Hefeweissbier is brewed using a traditional double decoction mash whereby one third of the mash is removed from the mash tun, brought to a boil, and added back to the mash tun in order to "step up" the mash temperature from protein rest, to conversion, conversion to sach (see gallery picture below for time and temperature targets). This is done twice before mash-out and produces a beautiful, toasty breadiness in the final beer. For more on how this occurs, read up on maillard reactions. It is a critical component of getting this style just right. 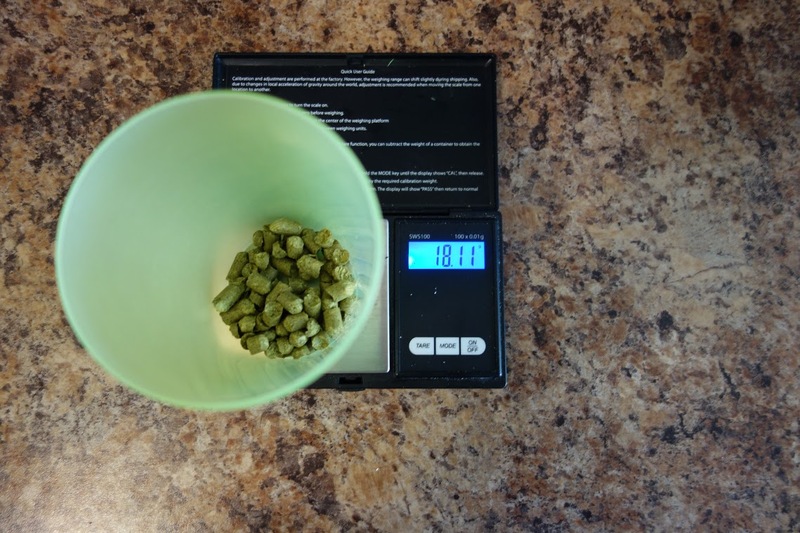 Decoction – homebrew Silly Sir style! Right: Mash tun; Left: decoction vessel. 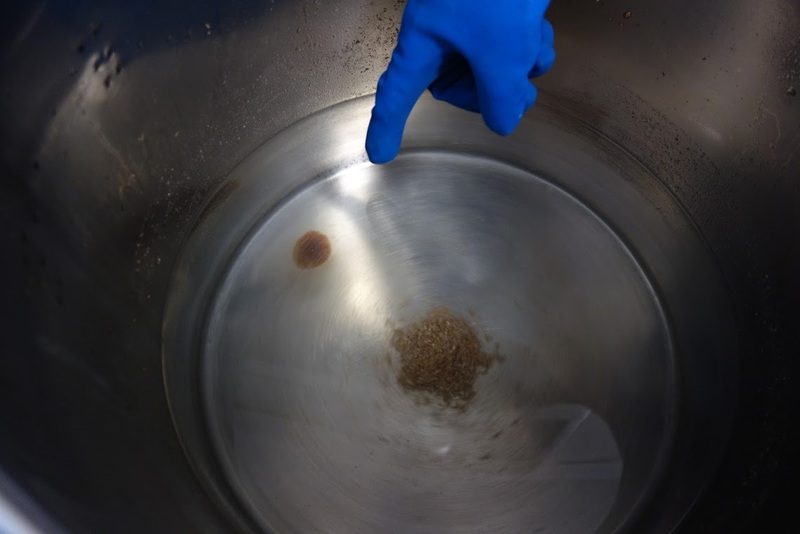 …a “maillard reaction spot” found at the bottom of the kettle in the heating sparge water. Note some residual decoction grain illustrating the whirlpool effect. Hallertau Mittelfruh hops are added added at 60, and 10 minutes to bring the beer to about 15 IBU. There are no whirlpool additions. No clarifying agents are added in accordance with the reinheitsgebot. Hefeweizens (hefe: yeast; weizen: wheat) are traditionally quite cloudy due to the suspended yeast, so you wouldn't want it too clear anyways. As a general rule of thumb the higher you ferment with this particular strain of yeast, the more banana esters you achieve. The lower you ferment, the more clove phenols you achieve. 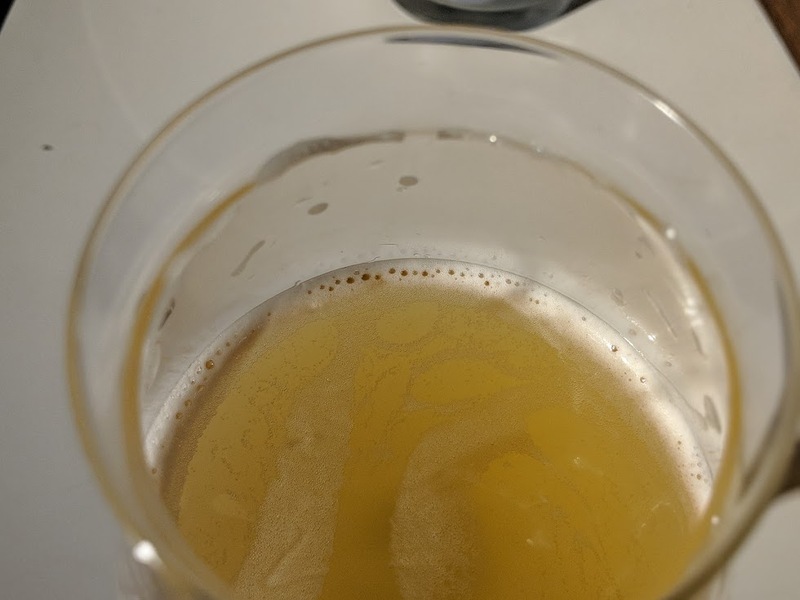 I apparently fermented my beer at a lower temperature than the Weihenstephaner hefe, but got almost exclusively banana esters whereas theirs has a nice blend of clove and banana (though it still tilts banana). How can this be?! Well here's the kicker: you want to stress the yeast out a bit. 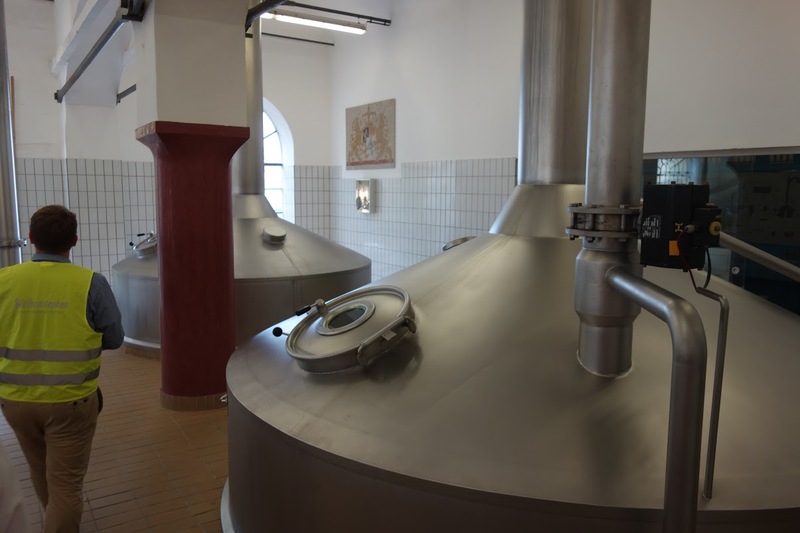 The brewers at Weihenstephan's brewery told me that they intentionally underpitch a little bit in order to achieve the desired aroma and taste of Weihenstephaner Hefeweissbier. I have no idea what their actual pitch rate is, but would love to get this information. If you somehow score it, let us know. As noted, you cannot add sugar to the beer. You cannot add your own secondary CO2 to the beer. 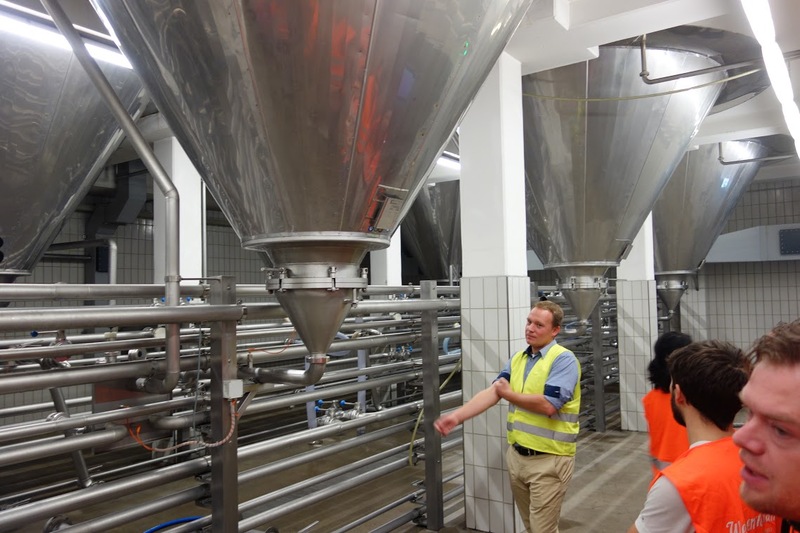 The Weihenstephan brewery allows their beer to ferment to near terminal gravity, before adding additional pure unfermented wort from a fresh new batch back into the fermenters for the yeast to chew on. They then seal it off. It's essentially: bottle conditioning in the tank and with actual wort. This is said contribute the beer its famous, full mouthfeel. I attempted this in order to stay true to the recipe. If you are going to attempt this, make sure you have a friend who knows how to do the calculations, and ensure you're being extremely sanitary (I froze a small amount of virgin wort until it was ready to use for a speise addition). Let it do it's thing, give it more time than you think it needs, and cold crash it before connecting any lines. This will allow for the CO2 to be fully absorbed in the beer. I recommend connecting a valve to check pressure in order to monitor it and ensure your PSI is within range. My speisse addition. I froze it to preserve it. 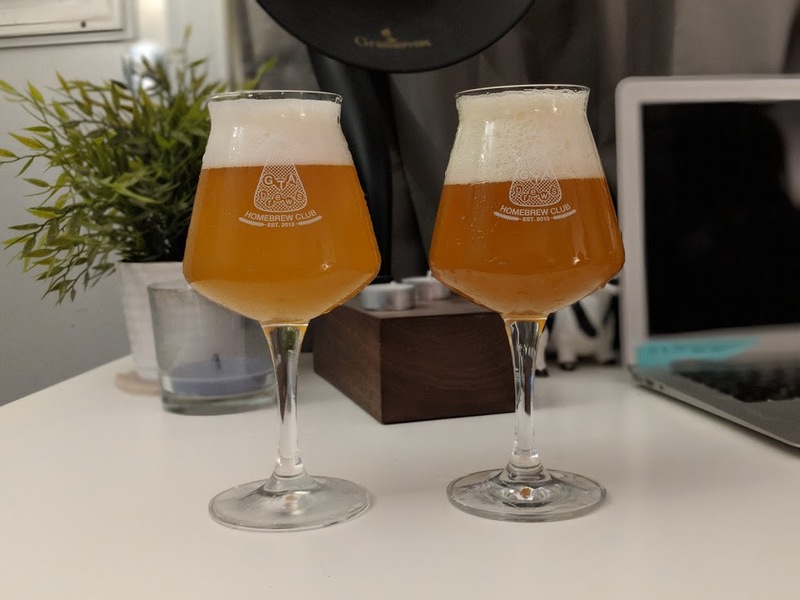 Weihenstephaner Hefeweissbier vs. Silly Sir's Hefeweissbier! I entered our beer into my local homebrew club's annual Brew Slam Competition and lo-and-behold it took gold! Overall, I'm quite happy with how it turned out and is a very good example of the style however ours is notably different from the classic Weihenstephaner Hefeweissbier. It really is a challenging beer to get exactly right. 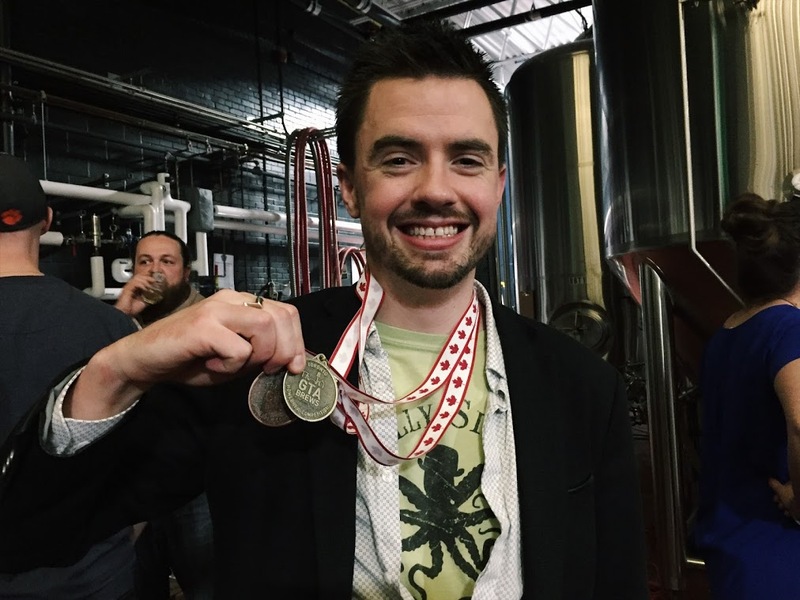 Cheers to Michael Hancock - brewmaster of Side Launch who guest judged our gold-winning beer. 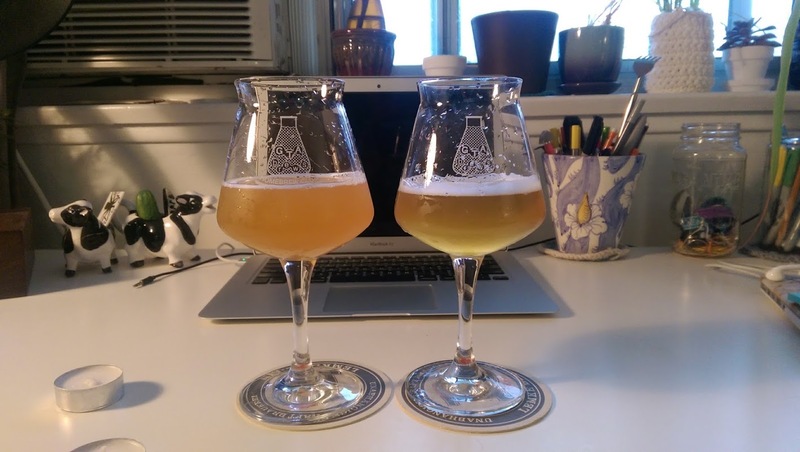 Appearance: Despite my best efforts, the beers look quite different. 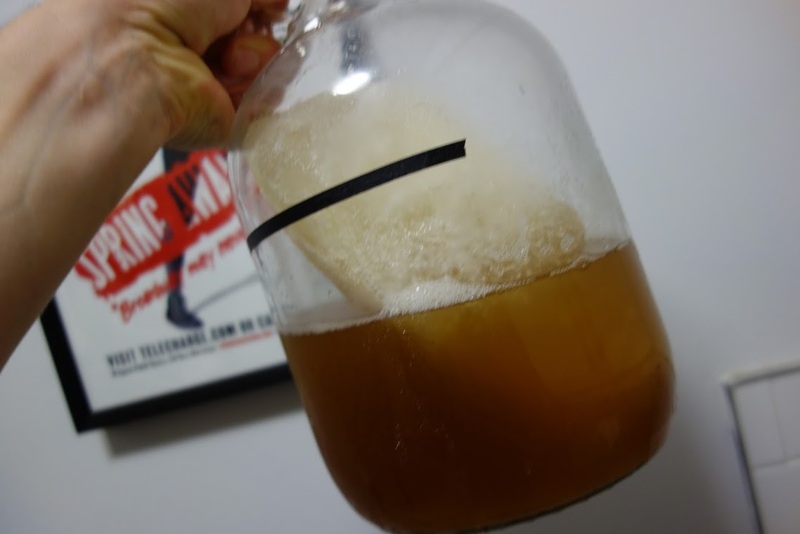 Since kegging mine, the cloudy yeastiness has all but dropped out of suspension whereas the Weihenstephaner beer has its traditional cloudiness preserved. It's beyond me how they achieve this because I allowed it to sit for a couple weeks at the same temperature undisturbed to cold-crash as well, but the yeast does not seem to fall from suspension. It's also a couple SRM darker than my hefe, which is presumably due to increased maillard reactions occurring in the mash. Aroma: The Weihenstephaner beer has a moderate toasted breadiness to it that mine lacks. It's also quite yeasty. While it's high in banana aroma, it's also got a definitive clove presence. My beer is cleaner with slight crackery notes. I also detect only the faintest hint of cloves, with much more banana coming through. The one thing Weihenstephaner Hefeweissbier lacks is our masterful head retention. Taste: essentially mirrors the aroma, however the Weihenstephaner beer is slightly sweeter than mine. Mouthfeel: notable difference in the softness of mouthfeel with the Weihenstephaner having what people often perceive as finer bubbles in terms of carbonation. Really this may have more to do with water chemistry than anything else. To address the lack of toasted breadiness in both flavour and aroma I will double decoct exactly 1/3 of the beer for each step in order to get it to the desired temperatures. In my attempt I decocted far less than 1/3 each time. I will hold it at a boil for 15 minutes instead of just 10. I will ensure a thicker mash to grist ratio. 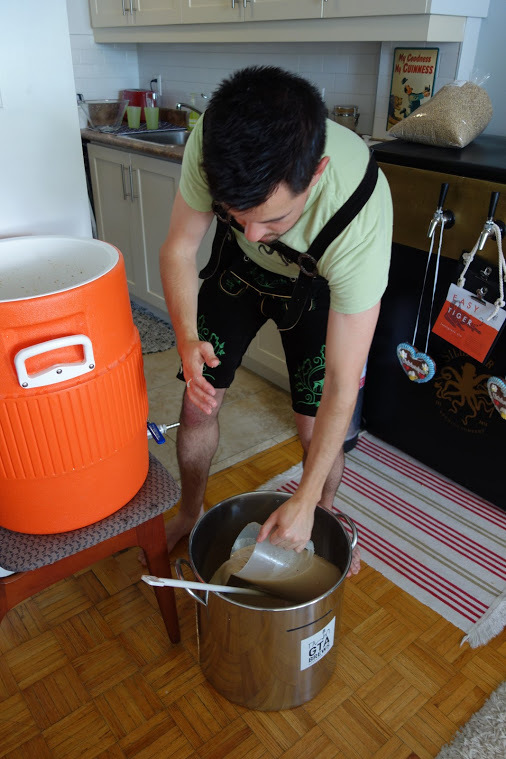 To address the lack of comparable clove aroma, I will under-pitch the yeast according to an online pitch rate calculator (and will hopefully gather intel on Weihenstephan Brewery's pitch rate, and try to mirror it). 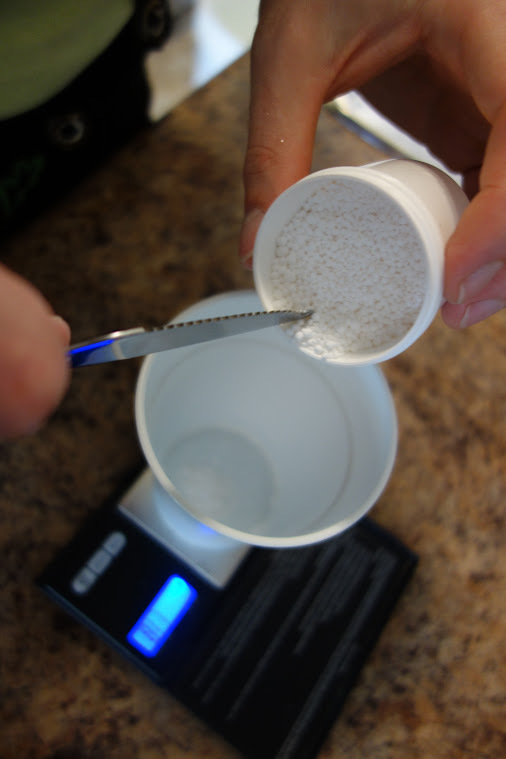 I will soften my water profile a bit by lowering the CaCl I add to the water. I just recently finished batch 2 which is decidedly superior to batch 1, but is still missing the full, sweet, fresh toast/breadiness of Weihenstephaner's hefe. It's still not quite perfect. If batch one was around 70% similar to Weihenstephaner's hefe, batch two is around 85% similar to Weihenstephaner's hefe. The biggest difference is that breadiness. Campden: split between sparge and mash water. My mash ratio this time was 2.48 l/kg whereas my first batch was closer to 4 l/kg (way too thin). I also brought the decoction to a boil for 15 minutes instead of ten. Furthermore I added a ferulic acid rest at 112F for about 10 minutes before decocting anything. This step is said to enhance the clove phenols. Fermented slightly lower at 19C for 3 days and raised it to 20C for the remainder to get a better balance of cloves and banana. 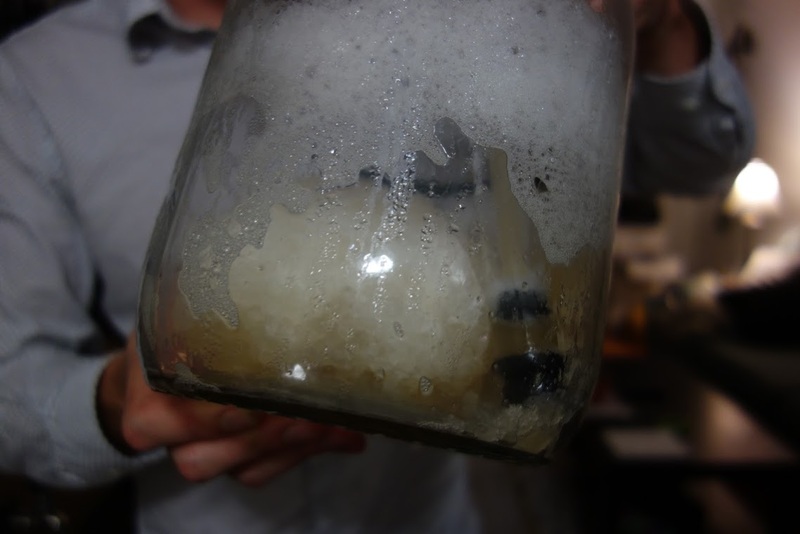 Underpitched ~2/3 of a month old smack pack of WYEAST 3068 - do not use a starter it is inadvisable. A big step forward and an overall general improvement over the first batch, I think. Overall there's more fresh-baked breadiness (if you've had a Weihenstephaner you know precisely what I'm talking about) but still not nearly enough. Appearance: very similar this time around - the haziness and colour are almost identical (but we're still not quite as dark). We've actually still achieved superior head retention - why is that? Age? Wheat percentage/protein? Different mineral profile? Both glasses were thoroughly cleaned and rinsed together before pouring. 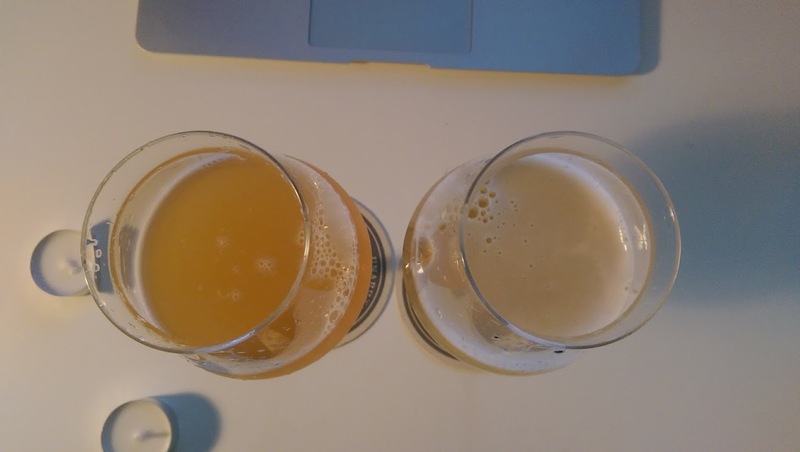 Left: our clone; right: Weihenstephaner's hefe. Weihenstephaner started with more head, but it quickly disappeared. 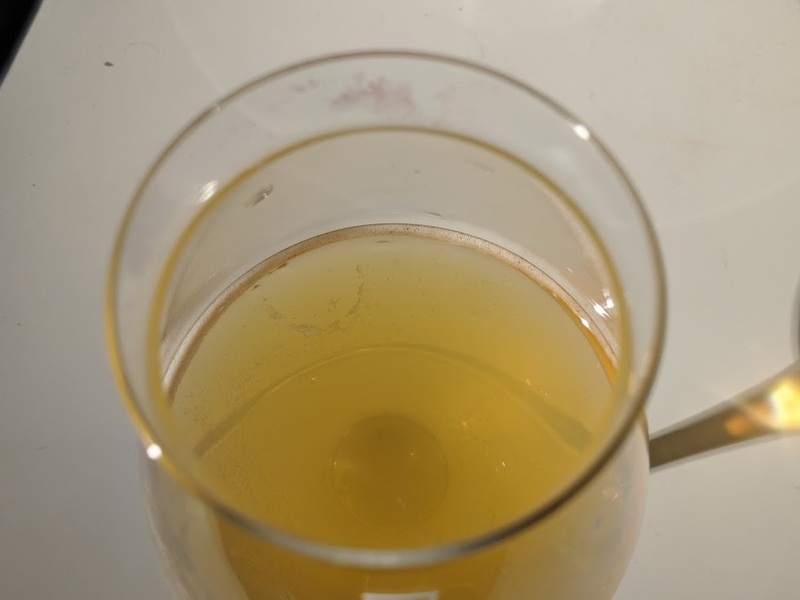 Aroma: We've got significantly more cloves this time around than our first batch - the ferulic rest and lower fermentation temperature appear to have worked pretty well as it's now much closer to the Weihenstephaner beer. We've achieved a better balance between banana and cloves, but we still have a little less clove compared to the gold-standard. While we have more toasty breadiness going on than before, it's still the biggest variable separating ours from Weihenstephaner's hefe. I also perceive the faintest hints of black pepper in beer. Taste: Again, pretty closely mirrors the aroma, however ours is not as bready-sweet as Weihenstephaner's hefe. I strongly suspect there must be more unfermentable sugar in the Weihenstephaner beer and will degas a sample of a sample and measure their FG before formulating my next recipe in order to strategize and determine whether or not I should add more unfermentables into the beer (as well as my methods on how to achieve such). Mouthfeel: Nailed it in terms of carbonation (carbonated to taste - sampled a fair amount from my keg). Didn't use the speisse method this time because it's way more effort than it's worth, I think. Ours finishes slightly drier. Will further lower my mash to grist ratio, to bring out the breadiness (really low - 2.3 or so). Will decoct onto an already very hot vessel to scorch the grain slightly. Will add two minutes to the decoction (17 total). Will lower the wheat percentage to 55% and increase the pilsner malt to 25%. Will reduce munich malt to 15% and add 5% Munich II - maybe this will also increase sweetness and perceptions of breadiness. Will lower the fermentation temperature by 0.5C (18.5%) for the first three days before raising it to 20C. Your thoughts? What can we do to achieve that subtle, wonderful signature Munich fresh toastiness of the Weihenstephaner beer? If you live in the GTA and feel you've achieved that intangible toasty element, let's talk and compare beers and recipes (seriously: email me matt [@] sillysir.com). I hope you found this little write-up useful, and I hope you learn to embrace this wickedly underrated, oh so fabulous style of beer (if you haven't already). Hit us up with questions below, ya dig? † Note: the reinheitsgebot still exists in Germany as a modified version of its former self. The revised Vorläufiges Biergesetz (Provisional Beer Law) states that pure sugar can also be added to beer and still be marketed as beer. Other ingredients and adjuncts can in fact also be added to beer provided it isn't marketed as "beer". Still, most breweries abide by the "reinheitsgebot" due to both tradition and its power in terms of marketing. Thank you to the Redditors who corrected me. The lower temperature doesn’t effect how much total phenols are available it just changes the threshold at which you perceive it because of different balances of esters, higher alcohols etc. If you want more clove aroma increase the ferulic acid rest time, this also apparently reduces isoamyl acetate (how I don’t know, I just read it in a presentation). Careful with freezing glass, it can probably take it but all the demijohns I’ve had with labels on have strict temperature guidelines (maybe to cover themselves). Good article and lots of great information, especially the actual recipe! I’m writing something on this style so looking forward to how your iterations get on. 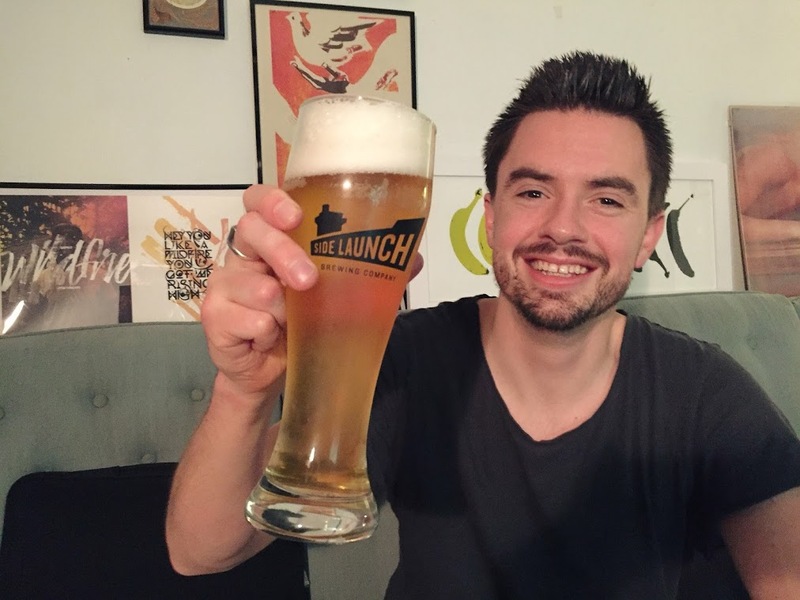 Hi Sillysir, thank you for your amazing Hefe recipes & tips! I tried recipe no 3 & it turned out amazing! I now would like to try making a Weihenstephaner Dunkel. Do you have a recipe for this also please? Very cool information! What about tank 1 at 22.5 C? Do you think they’re ramping it up— a couple days at 20, then 21.5, then 22.5? I’m going to try a batch tomorrow with 3% victory malt for breadiness. Thanks again!